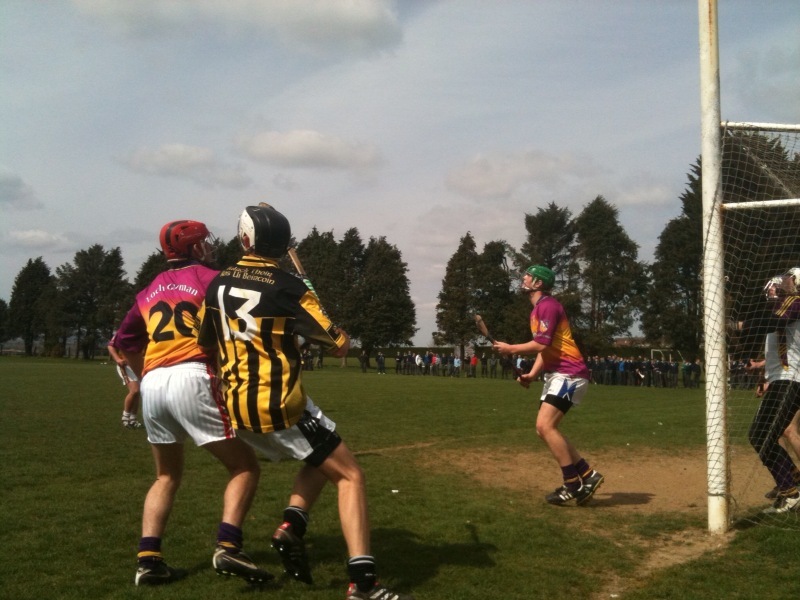 The 8th annual Madigan Cup was held in the college on Wednesday 21st April with victory going on this occasssion to the Wexford lads. Kilkenny were going for 4 in a row but were thwarted by a superb performance from the Matthew O’Hanlon captained ‘Yellowbellies’. 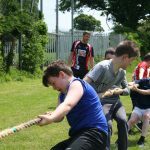 They led from the start and never really looked in danger although a typical Kilkenny rally briefly looked on when Sean Lyster netted midway through the second half. The Wexford lads, who had seen an 11 point lead overturned last year, made no such mistake this time round and held on for a comfortable win. 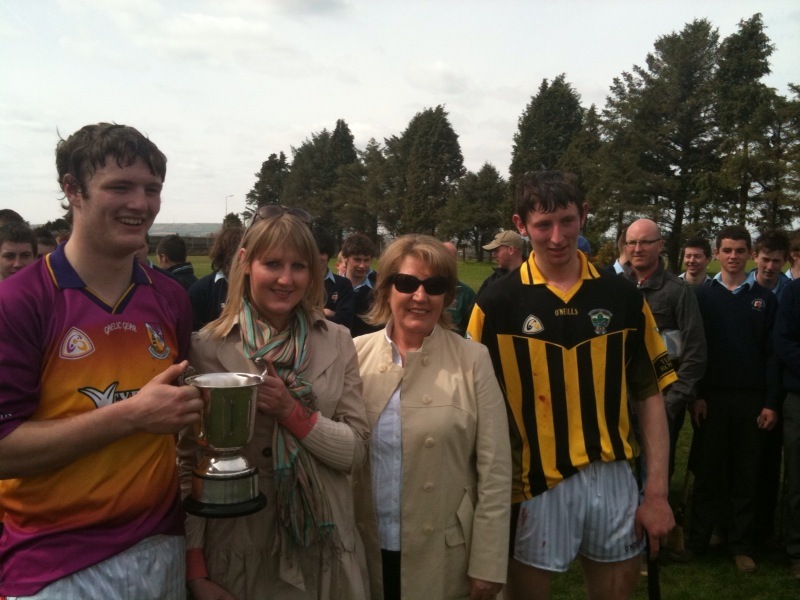 Members of the Madigan family were on hand to present the Cup to winning captain Matthew O’Hanlon. Kilkenny still have the balance of power in the overall stakes having lifted the trophy 5 times to Wexford’s 3. Goalmouth action from the Madigan Cup. 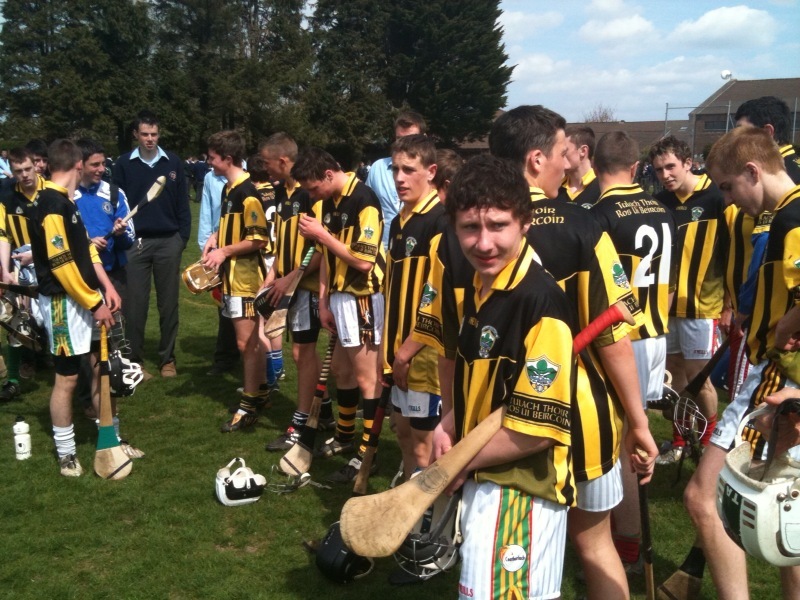 Presentation of the Cup to captain Matthew O’Hanlon as Kilkenny captain, Joe Lyng looks on.